Tired of playing PUBG and other addictive games on your phone? Need a break? Don't worry, head to Creeda Board Game Cafe in Fort, it is sure to make your day! 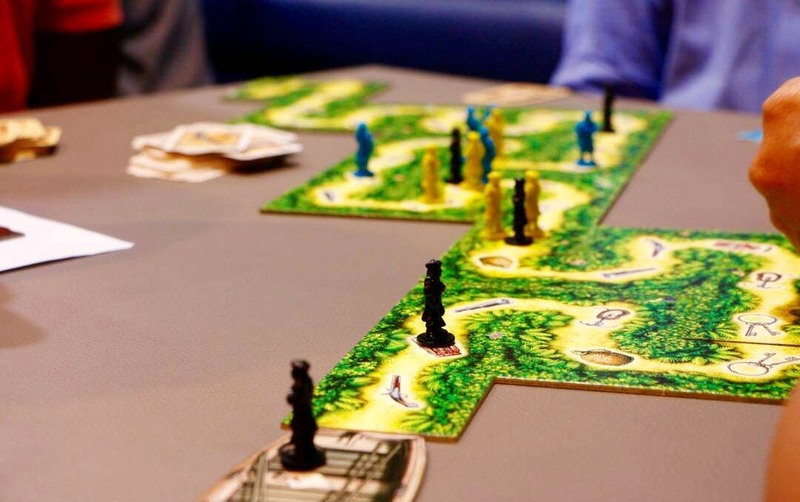 While most cafes only have the popular board games to add to the fun, let us introduce you to Creeda Board Game Cafe, a cafe purely built out of love for board games. The brainchild of Riddhi Dalal, Creeda Board Game Cafe started in 2015 and has been running strongly ever since. They house approximately 400 different types of board games; some very popular (the likes of Jenga, UNO, Monopoly and more) and some not so popular (AZUL, Othello, Las Vegas and more). These games are sourced directly from the parent companies and are imported from all over the world (think Japan, Germany, USA, Canada, Turkey, China etc.). Best part? You don't have to pay per game. You pay INR 160 per person per hour on weekdays and INR 250 per person per hour on weekends to enjoy unlimited number of games (as many as you want, really). Don't forget to hydrate yourselves and munch on something while you get super engrossed in deciding the strategy for your next move in the game to beat your best friend- order from their not-so-limited and mouthwatering menu that boasts of sandwiches, pasta, pizza, coffee, iced-teas, milkshakes and so much more (yummy in our tummy, oh yes!). If you love the game you played and wish to own it, you can buy it straight from Creeda (at least you don't need to go hunt for it). If you think that is expensive, and need some time to think about the purchase you are about to make, log on to their website at your convenience and place your order (it's that simple, really). If you spot a game that interests you, but don't know how to play it, Riddhi's fantastic team of 'Game Gurus' will guide you, teach you the game and play it with you too. So, get off that mobile phone and head to Creeda and relive your childhood peeps!